Onam is the most popular and important festival in Kerala in India and for Malayalis around the world. 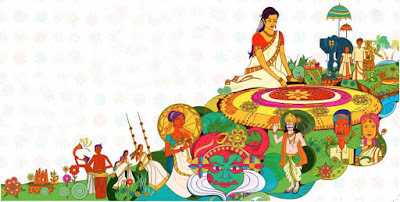 Onam 2019 date is September 11, Wednesday. The Thiruonam festival of Malayalis in Chingam month rises above all man-made barriers of religion, caste, creed and financial status. It is believed that during the four days of Onam festival, the legendary Asura King Mahabali (Maveli) comes to visit his subjects. Malayalis prepare floral carpets, sumptuous foods and sweets to welcome Mahabali. First Onam is on August 24. 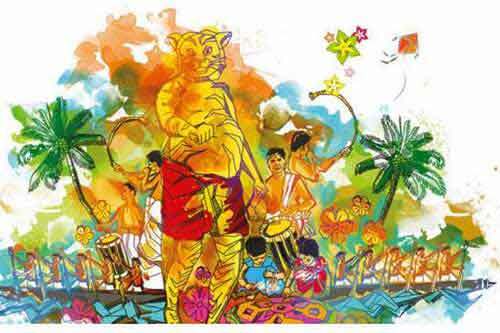 Onnam Onam or First Onam is on September 10. Third Onam or Munnam Onam is on September 12. Fourth Onam or Naalam Onam is on September 13. The preparation for Onam begins on the Atham nakshatram day in the Malayalam Chingam month (August – September). Atham falls around 10 days before Thiruonam. 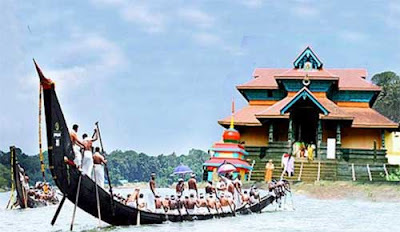 The famous Atha Chamayam procession in Tripunithara is held on the day. During these ten days children and women prepare the floral design called Ona-Pookkalam in front of their houses to welcome King Maveli. Today there are Pookalam competitions organized by various organizations. New clothes, known as Onakodi, are exchanged by family members. Preparation for the grand feast on Onam begins in advance. On the Tiruvonam day members of the family gather together, usually at the ancestral home, for Onasadya (traditional Onam feast) served on plantain leaves. The significance of the Ona Sadya is established from the popular Malayalam saying “kanam vittum onam unnanam” - Onam feast should be prepared even if one has to sell all the seedlings that are kept to sow for next harvest. Onam is traditionally a harvest festival and earlier the people of Kerala used to entirely depend on agriculture. After the Onasadya, women and children engage in folk games, songs and dances like Oonjalattom (soaring high on the swing), Thumbithullal - a traditional folk dance, Kaikottikkali or Thiruvathirakali. Onam is also time for snake boat races (Vallam Kali) and there are numerous competitions including the famous Aranmula Vallam Kali. Apart from this there are other traditional rural arts and games like Pulikali, Kummati kali, Ona Thallu etc take place during the period. Malayalis are today spread around the world and Onam transports each Malayali to their home in Kerala. Each malayali has sweet memories of Onam and it is dusted out and remembered with a nostalgic smile on every Onam.